The Portland Art Museum (“PAM”) has received about 90% of its art from individuals seeking to make a meaningful donation and to give back to their community. It’s impossible to walk through PAM without seeing contributions from many local families, starting with the Museum’s first gift, Henry Corbett’s 1895 donation of $10,000 used to purchase casts of Greek and Roman sculptures. More recently PAM received “The Ox-Cart” by Vincent Van Gogh, donated by longtime Oregon residents who decided to share the work with the public. When the owners first approached the Museum, they didn’t name the famous artist. PAM received a call saying the Sohn family of Roseburg “had a painting and they weren’t sure what to do with it.” Only after an extended conversation did the family mention that the painting was by Van Gogh. Because displaying art is PAM’s core purpose, this gift of tangible personal property—art work—qualified for an income tax deduction equal to its current fair market value. Many art museums also accept loans of art work. Recently PAM presented Andy Warhol: Prints from the Collections of Jordan D. Schnitzer and His Family Foundation. This major retrospective exhibition of approximately 250 Andy Warhol prints and ephemera from Jordan Schnitzer was the largest of its kind ever to be presented. It spanned two floors of the Museum and included instantly recognizable images such as Warhol’s iconic Campbell’s Soup Can (Tomato) and Marilyn Monroe (Marilyn). Persons considering lending art should consult their professional tax advisors about income tax deductions. Communicate early and thoroughly. Make sure the charity wants the art. Once the charity accepts the art, the charity has an ongoing duty to preserve the artwork. The charity will not undertake this responsibility lightly. If you care about tax consequences. The charity should provide a written acceptance of your gift indicating that the organization is a qualified public charity and satisfies the related use rule regarding the particular donation and intends to use the gift in a manner related to its tax-exempt status. When picking art to donate and hoping to maximize your income tax deduction, it is better to select a piece of artwork whose value has appreciated rather than remained constant or declined. If the deduction for the artwork is $5,000 or more, the donor must engage a qualified appraiser, and the appraiser must complete paperwork prior to the donor claiming a deduction on a tax return. Donate to a public nonprofit. 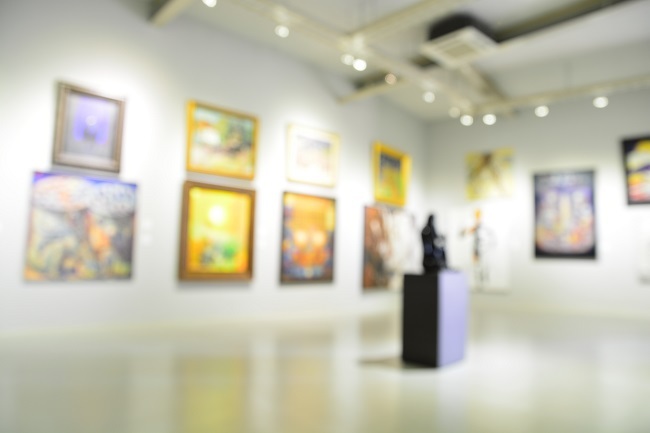 In most cases a donor of appreciated art objects to a private charity (e.g., a family foundation) will receive a deduction limited to his or her cost (basis). That same donor, however, would be allowed to deduct the full fair market value, if the contribution was made to a public charity. The recipient organization should provide you with confirmation of its public charity status. You can confirm that information with your qualified tax counsel. Take advantage of the charity’s planned giving expertise. Many nonprofit charities have informative resources regarding planned giving options. Sometimes the charity can provide potential donors with an analysis of giving options and the resulting tax consequences. They can provide a helpful opportunity for a prospective donor to brainstorm prior to consulting his or her attorney or CPA. Consider planning a gift through your estate. In some cases multiple members of a family’s younger generation may hope to inherit a prized work of art. In situations like this, it may make sense to donate the art to a local museum. After you are gone everyone can enjoy it! If you don’t own art but happen to own a 19th Century wagon that traveled cross-country to Oregon or a basketball the Trailblazers used in their 1977 championship final, consider contacting your local historical or sports museum. Carefully and effectively planned gifts of tangible property often mark the beginning of an ongoing relationship with the charity you benefit. These relationships increase the meaningfulness of the gift and further your interest in supporting the nonprofit. This article was first published in the Portland Business Journal in March 2018. It was written by Ginger Skinner.